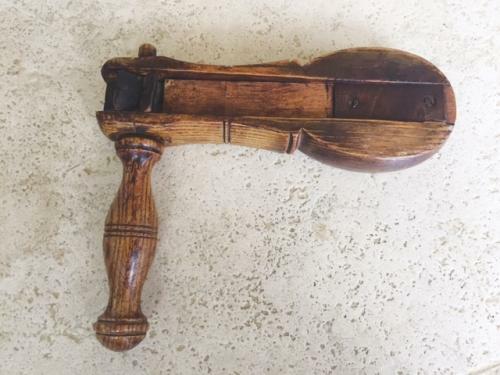 Victorian Bird Scarer Rattle, nicely made in Ash with good detail. Used on a farm to scare crows etc off crops. Said to be the loneliest job on a farm and often done by children who were pad a penny a day in the 1880's.